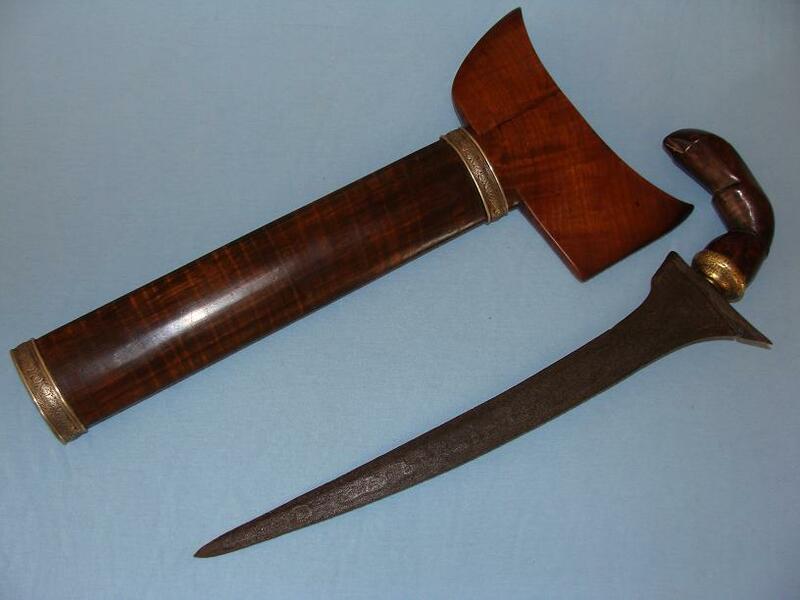 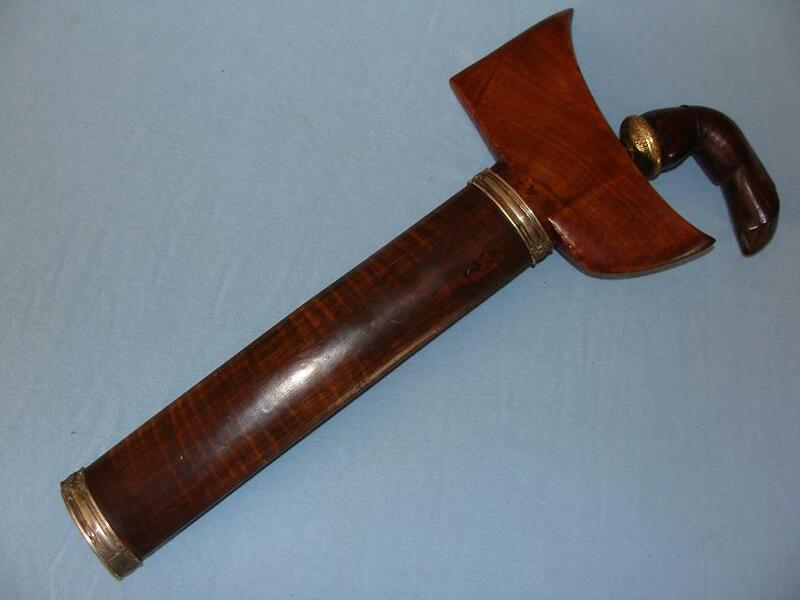 A very nice Bugis Keris with old blade. 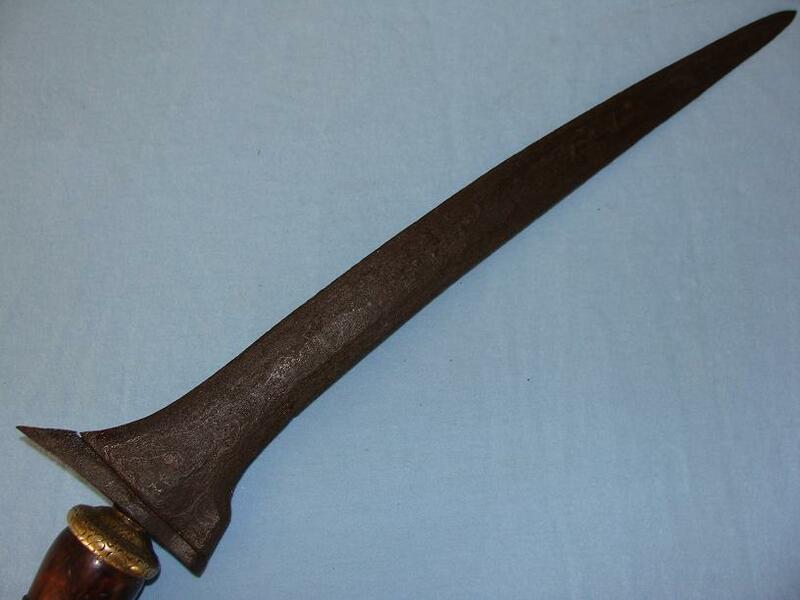 A lovely pamor is found on the slightly curved blade that measures just under 32cms. 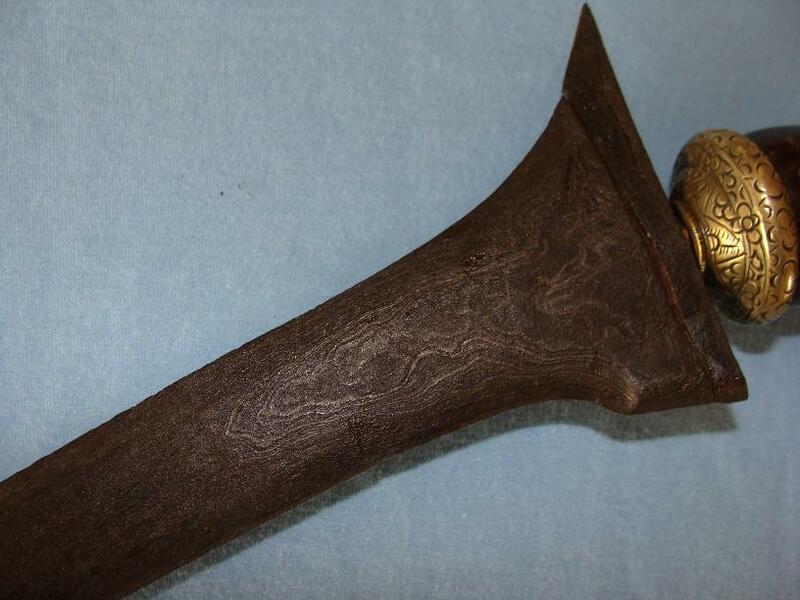 Engraved brass mendak, hilt is of a very nice burl timber. 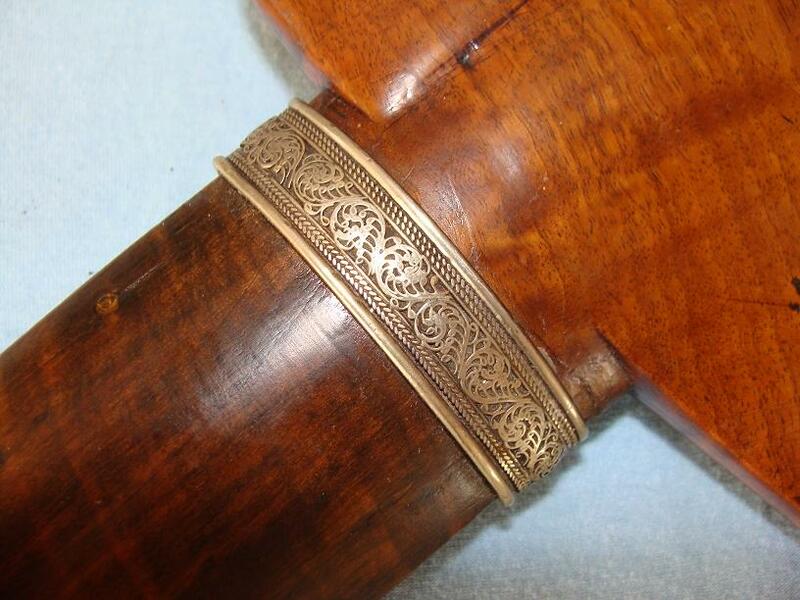 Sheath also shows lovely grained timbers and is bound with two thick silver bands decorated with fine filagree silver.